Elizabeth Bennet in Pride and Prejudice research papers examine the main character of Jane Austen's novel. Elizabeth is introduced indirectly in the first chapter by her father. Mrs. Bennet is excited that a nearby has been rented by a Mr. Bingley, "a young man of a large fortune from the north of England." The reason she is so excited is that she sees Mr. Bingley as a possible husband for one of her four daughters. Along with other mothers in the neighborhood, Mrs. Bennett sees the new neighbor as "the rightful property of some one or other of their daughters." When Mr. Bennett does not share her excitement and is not even inclined to meet with the new neighbor, Mrs. Bennett urges him to "consider your daughters." To try to persuade Mr. Bennet to get to meet Mr. Bingley, Mrs. Bennet also tells him that their neighbors Sir William and Lady Lucas, who also have an eligible daughter, are going to meet Mr. Bingley. Although Mr. Bennet is not persuaded that he has to meet Mr. Bingley, he does acknowledge the reasonableness of Mrs. Bennet's point that the new neighbor might make a suitable husband for one of their daughters. Mr. Bennett tells his wife that when she meets Mr. Bingley, she can let him know that Mr. Bennet consents to his marrying one of their daughters. It is then that Elizabeth is introduced. Pride and Prejudice's Elizabeth and Darcy - Order Custom written research papers on Elizabeth and Darcy in Pride and Prejudice from Paper Masters. Female Protagonists - Elizabeth Bennet in Pride and Prejudice research papers examine the main female Protagonist from Paper Masters. Women in Pride and Prejudice - In the novel, the heroine, Elizabeth Bennet, is in contrast to this definition of the ideal woman. 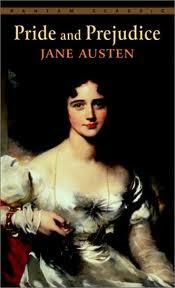 Jane Austen Novel - Research Papers delve into a sample of an order placed for a book report on a particular author. Darcy in Pride and Prejudice - research paper on Darcy in Pride and Prejudice. Symbolism in Emma – As one of the most profound female writers in history, Jane Austen has provided the world with wonder symbolism in Emma. Jane Austin's Emma - Custom written research papers on Jane Austin's Emma. Paper Masters writes custom research papers on Elizabeth Bennet in Pride and Prejudice and examine the main character of Jane Austen's novel.